Question: This is probably a silly question, but if I have low blood pressure do I have to worry about salt? I love salt and use way too much! Answer: Blood pressure is a measurement of the force of blood against the walls of your arteries when your heart beats. Current guidelines identify normal blood pressure around 120/80mm/Hg. This can vary up and down depending on what you are doing, how you are feeling, whether you are well/unwell, the medications you are taking, what you are eating/drinking, your hydration levels (dehydration can cause low blood pressure) and the time of day. 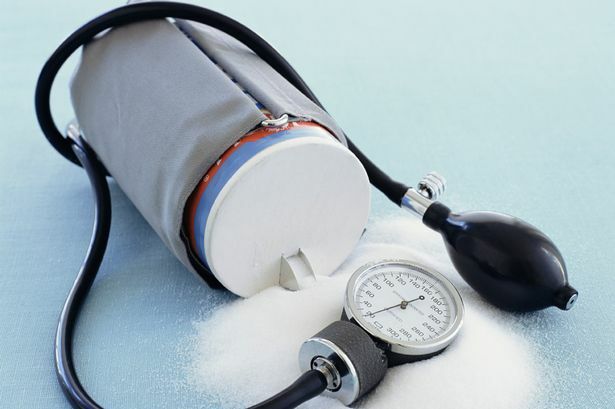 For many people low blood pressure causes no problems and may be desirable. For some, abnormally low blood pressure can cause dizziness and fainting. Most doctors only consider low blood pressure too low if it causes symptoms because what is low for one person may be normal for another. Without knowing any medical background it is difficult to advise but in general we don’t advocate excessive use of salt as there is plenty already in foodstuffs. In general, guidelines recommend that we should consume no more 4-6g of salt per day. However, it is estimated that on average, Irish people currently consume about 9g per day which is a lot more than they need. The main sources of salt in our diet are packaged foods and meals eaten out of the home at restaurants or takeaways (65-70%),salt added to home cooking or at the table (15-20%) and salt found naturally in food (15%). Foods that are naturally high sources of salt include cheese, processed meats such as ham and salami, bacon, bread, jars of sauce, crisps, salted nuts, salted crackers, soya sauce etc. It is important that people consume these foods in line with an overall healthy balanced diet. Your GP will be able to advise you about whether you need additional salt in your diet and how this can be achieved safely.